1. How do I know whether a lot is sold? 2. What do the condition ciphers mean? 3. What does limit mean? 4. How can I buy a lot in the post-auction sale? 5. If I send a written order bid, will my maximum bid automatically be the hammer price? 6. How can I buy lots? 7. Which prices do the lots have in the post-auction sale? 8. How and when am I informed whether my written bid was successful? 9. What do I have to do if I won one or more lots by absentee bidding (via internet, telephone or written order bid)? 10. How much is the buyer’s premium? 11. Will there be value added tax (VAT) added to the hammer price? 12. I would like to collect the lots I purchased myself. How do I do that? 13. Which costs make up the shipping charges? 14. From which auctions can I still buy something? 15. How can I offer something for auction? 16. Do you also purchase objects? 17. What exactly are the conditions for a consignment? 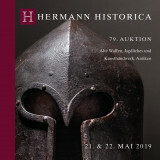 A lot is still available only if you can find it in the post-auction section of our website. Click on "Buy", select "Past Auctions", locate the catalogue from which you want to buy and click the button "Post-auction sale". All lots that you can find in this section are usually still available, as this list is updated frequently. If you are not sure, please do not hesitate to contact us via telephone or e-mail. You can also send us a signed order bid. Unlike other auction houses, we do not distinguish between pre-sale estimate and limit price (reserve). We only use the limit price, which is at the same time the starting price – i.e. 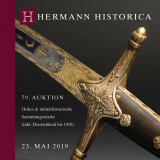 an object must be purchased by auction for at least that price (plus 25 % buyer’s premium) or bought in the post-auction sale for that price (plus 25 % buyer’s premium). If you see in the internet that a lot was not sold during the auction, you can purchase it for the limit price respectively the starting price plus buyer’s premium. 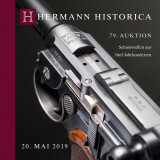 In the top menu of our website click on "Buy", select "Past Auctions", locate the catalogue from which you want to buy and click the button "Post-auction sale". Look for the desired lots, enter the starting price and confirm your bid. We'll get back to you immediately. You can also fax or email us a signed absentee bid form with your customer details, the lot number(s) and purchasing price. You can also acquire objects by phone in the post-auction sale on the condition that you send us a written confirmation (i.e. an order bid) immediately afterwards. We do our best to keep the results up to date, but in case two or more offers arrive for the same bid at the same time, it's first come, first serve! No. Written bids will only be used to the extent necessary to outbid opposing bidders by approx. 5%. Chances are that you can get an object well below your maximum bid. In the post-auction sale you can acquire an auction lot for the limit price / starting price plus buyer’s premium. 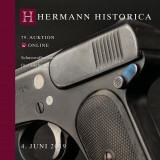 We update our website after every auction day, i.e. you can see for which hammer price a lot was sold. If that price is higher than your own bid, another bidder won the lot. If the price is within your frame of bidding, you could be the winner. In order to know this for certain, please either wait for the invoice to be sent or telephone us directly. Please wait for the invoice to arrive. The buyer’s premium amounts to 25 % of the hammer price. This includes the value added tax (VAT). No - see §10 above. Please mark on your offer bid that you choose to collect the items in person. Telephone us or send us an e-mail with appointment suggestions. As soon as an appointment is made, we will locate the objects in our storerooms and make them available. Please do not arrive unannounced in order to avoid delays. 13. What costs make up the shipping charges? The shipping charges are composed of: packaging, shipping charges based on the desired way of shipping, insurance (1 % of the invoice amount) and, if required, processing fees for firearms, cultural goods etc. You can only purchase objects from the previous auction (if it is concluded by then). 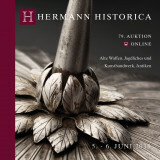 If the lot is still available, you will find it in the "Post-auction sale" section of the respective catalogue. 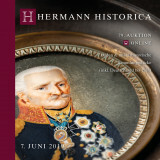 If you would like to have an item auctioned but are not able to come in person, or if the objects in question are very numerous, please send us informative photographs of the items. We would also be delighted to receive additional information on exact dimensions, condition and origin. In case you can come by in person, please be kind enough to make an appointment as our respective specialists are not always here. We usually accept objects only that we assume will be sold on commission on behalf of the consigner. On rare occasions we will also purchase objects / antiquities directly.